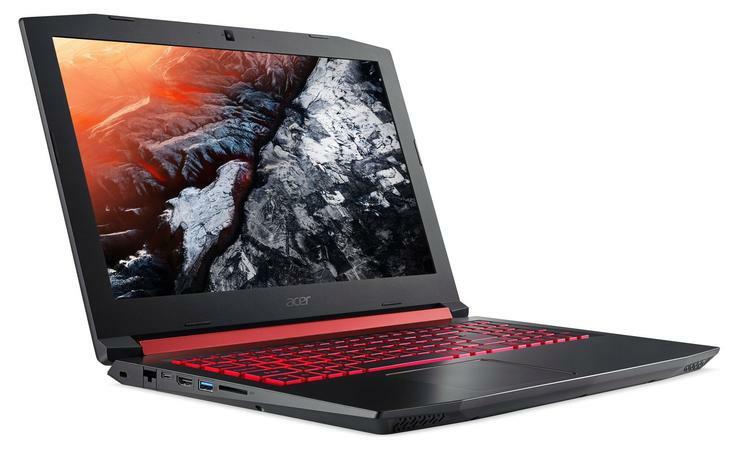 The $750 Acer Aspire Nitro 5 (AN515-53-52FA) includes Intel’s 4-core, 8-thread Core i5-8300H processor, paired with a 1TB hard drive and Nvidia’s GeForce GTX 1050 graphics. The step-up $850 Aspire Nitro 5 (AN515-53-55G9) upgrades the graphics to a GTX 1050 Ti—a first for the Nitro 5 series—and swaps out the mechanical hard drive for a speedier, but smaller 256GB SSD. Both will be available at Best Buy starting in May with 15.6-inch 1080p displays and 8GB of memory.